Developing resources to be used in fulfillment of the Great Commission is a ministry – not simply because of the outcomes it helps achieve. The act of calling God’s people to give toward activities that advance His Kingdom is a ministry in its own right. As part of CMI’s commitment to strengthening this ministry and those ministries that are made possible as a result, CMI has created the following Resource Development Philosophy and Principles to provide guidance in making wise, effective and God-honoring decisions in its resource development activities. CMI’s resource development efforts are guided by three primary priorities. Our goal is to be: 1) Centered on glorifying God; 2) Consistent with Scripture; 3) Committed to our ministry partners. God is Lord and owner of all (Ex. 19:5; Ps. 24:1). As such, He is ultimately responsible for financial provisions for Church Ministries International and its various ministry projects. God prepares the work, issues the call and provides the means. We believe that God is responsible for prompting the hearts of ministry financial partners to give in response to the needs presented. As such, all CMI communications and fundraising activities will strive to be honoring to God, reflective of His character and in keeping with His commandments. To this end, CMI seeks to be fervent in prayer, trustworthy in its communications, servant-like in its activities, and faithful in its stewardship. As part of CMI’s commitment to glorifying God, CMI will be obedient to biblical principles and models in its resource development activities and the stewardship of the funds raised. Among these are the following biblical principles outlined by the Evangelical Council for Financial Accountability (ECFA). 11. When these principles are implemented, that rely on God changing hearts more than on human methods, the resulting joy-filled generosity of believers will fully fund God’s work here on earth (Ex. 36:6-7). 1. Be ministry focused, recognizing that a primary responsibility of resource development is to provide opportunities to inspire and help believers practice biblical stewardship. 2. Respect donors, treating them as partners in ministry and not simply sources of income. In keeping with the above philosophy, CMI will conduct its resource development activities in accordance with the following principles. 1. We recognize that God is the One who imparts vision and the One who provides. As such, we will prayerfully seek to balance faith and prudence. We will exercise faith in trusting God to provide for the accomplishment of vision even when resources may not be apparent, but will not jeopardize the ministry by making unreasonable projections that could precipitate a financial crisis. 2. We will exercise responsible stewardship of resources in our spending practices, being vigilant to spend conservatively and avoid excess, continually striving to maximize the resources spent on direct ministry. 3. We will not operate at a deficit. However, from time to time it may be necessary to borrow funds for large capital expenditures. If so, we will seek to repay the loan as soon as possible. 4. We will be faithful in paying all invoices by the date that they are due. 5. We will provide timely acknowledgement, expression of appreciation and receipting for all gifts received. 6. We will honor specific designations of donations by ministry partners, provided that the donation is given to an approved CMI project. We will put the funds to use for the specified project in a timely manner – normally within twelve months or less. In the event that a designated project is over funded, delayed or cancelled, excess funds may be reassigned to a ministry need most closely identifying with the project for which the funds were originally provided. 1. We will keep ministry partners well-informed about the ministry and its specific projects through timely, informative communications provided through a variety of media. 2. CMI’s Board of Directors will exercise proper governance and oversight of the ministry, its finances and its staff. 3. 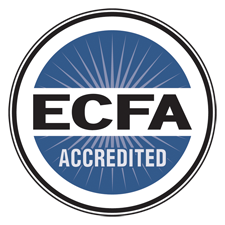 We will maintain membership in the Evangelical Council for Financial Accountability and will faithfully adhere to the ECFA’s Seven Standards of Financial Accountability. 4. We will comply with all local, state and federal laws related to charitable organizations. 1. We will not sell, rent, barter or exchange our mailing and other lists to other organizations or individuals for fund-raising purposes. CMI is committed to donor privacy and will take appropriate measures to ensure that personal information remains confidential. 2. We will honor all requests from anyone that wishes to cease receiving communications from CMI. 1. We will be truthful and accurate in all of our communications. 2. We will be diligent to present realistic expectations for how donations will be used. 3. We will not seek to manipulate or coerce people into giving a donation. 4. We will not impugn or speak negatively of other ministries, but instead hold a “Kingdom-oriented” mindset that recognizes that God calls different people and different organizations to carry out different roles in proclaiming His Gospel and expanding His Kingdom. a. Does it have a recognizable connection to our ministry? b. Does it have value to the ministry partner? c. Is it cost effective? d. Does it serve to draw the ministry partner towards a closer relationship with CMI?